Bill Kristol's Weekly Standard has a crush on Tom Cotton. 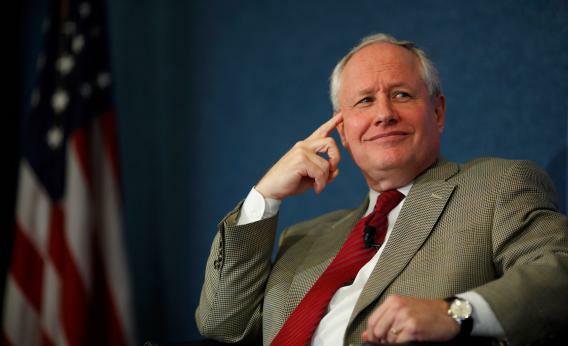 Weekly Standard Editor Bill Kristol in 2011. You irascible Iraq War critics have had your fun this week. You’ve been making fun of Bill Kristol’s predictions, and David Brooks’s hilarious column about how the initial military victory in Iraq collapsed the “dream palaces” of the left, and so on. This is unfair to the predictive and persusasive power of the Weekly Standard. For 18 months, the magazine has aggressively promoted the career of now-Congressman Tom Cotton of Arkansas. He’s an Iraq War veteran with a bio that—look, I’ll just quote the Ken Tomlinson micro-profile that ran in August 2011. A rural Arkansas farm boy, Cotton made his way to Harvard and Harvard Law, where he graduated with distinction, with a stop to study at the Claremont Graduate University in between. Cotton was walking out of a law school class when he learned terrorists had struck the World Trade Center. A world of legal wealth and prestige lay before him, but inside he sensed he soon would be going to war. After an election that didn’t produce many buzzworthy new Republicans, Cotton became a Sunday show presence and a loud voice of opposition to Chuck Hagel’s nomination—which was sort of a TWS cause celebre. Today we have a TWS story about a new Club for Growth poll showing Cotton up 43-35 on Democratic Sen. Mark Pryor. In the capable hands of Kristol et al, star-making looks easy.